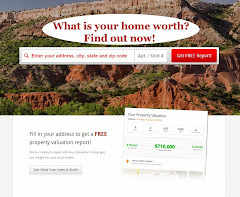 Real Estate Amarillo: They say its a wast of time...I want to prove them wrong! They say its a wast of time...I want to prove them wrong! I was recently part of a discussion with a large group of Realtors talking about social media "SM" and real estate. With the recent economic downturn it seems that everyone's looking for new ways to reach targets and SM entered the conversation. Immediately there was a definite division in the group between realtors that thought SM was a valuable tool and Realtors did not. Two other Realtors and I were pro SM vs. about 28 Realtors that thought it was a waste of time and effort. The anti SM group brought up the old adage "it’s all about who you know". Now I agree with the statement but I feel that there is a huge amount of leverage that you can take advantage of utilizing SM. After going back and forth about using SM as a tool to market real estate (which I constantly utilize) the question was asked, "has anyone in the room ever represented a client in purchasing or selling a home that was generated by social media?" The answer "no…" and therefore they said it was a waste of time and SM will not help your real estate business as an agent. By this time I REALLY wanted to prove them wrong. 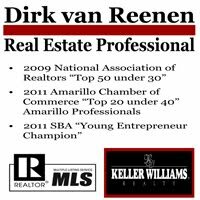 So here is the challenge....If you help me find a buyer or seller through Social Media that completes a successful real estate transaction I will donate my full commission; 1/2 to a charity of your choice and the other 1/2 to the Amarillo Young Professionals (Non Profit Organization). I want to prove the value of Social Media in the Real Estate Business and I am willing to put my money up to make it happen! This is genius. Until you use SM you can't understand just how many people find you via Twitter etc. I recently took a webinar on Twitter for your business, and it was amazing. Stuff I'd never thought of before on how to use Twitter so that people can find you locally. Enormous networking potential! My sister Sandy lives in Ama and sent me the link to your blog. I'm now following you on Twitter (plannerisms) and will retweet! By the way, here is the power of the internet: my sister lives in Ama, sent me your blog. I live in Albania (on the other side of the world). I will tweet to my followers, who live all over the world. How will that benefit you locally? Who knows? The internet works in mysterious ways! You never know who you could meet. From what I've seen on social media, it's almost more about mind-share than it is closing deals. A twitter feed or facebook page that is updated frequently is like an advertisement or PR outreach that is constantly saying "I'm here" "I take care of my customers" "This is who I am" "I'll go to bat for you" etc. Not directly, but contextually through the stream. Saying that this is not valuable because it doesn't directly close deals is like saying that phone book, television, radio, signage, and other forms of advertising are not valuable. When I'm researching an expensive purchase (either service or good), I'll post a query out to facebook or twitter and get valuable advice (and some not so valuable) quickly. If they're able to point me to a facebook page/profile and/or twitter feed that really tells me something about that person/company then that can really help seal the deal. It surprises me that salespeople would not understand the potential value of a presence in the "online community." Thanks for for the input, I am starting to see the same effect that the social media is creating top of mind awareness instead of bringing direct deals out. I believe the success lies in the long term of use. Bottom line it's fun and it's getting my name out, I like it! Playing games and chatting with friends will not profit business at all, and why should business pay for time spent socialising. On the other hand Social Media is essential for businesses today to compete in the market, but there is a big difference between using social media to promote a business, offer great customer service, increase brand awareness, engage with customers - and using social media for your private life. We at Silicon Beach Training use Social Media every day but everything we do is to improve service and attract custom. Our Social Media Training course for business is our most popular course.